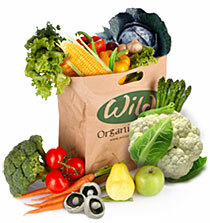 Fresh, organic fruit and veg bags are at the heart of what we do. We offer a choice of 3 Wild Bags - the Standard Bag, the Mini Bag and the Made-to-Order Bag. 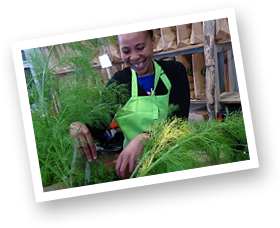 Each week, we source high quality, organically farmed produce, and hand pack a bag of the best of what’s in season which we deliver each Wednesday to a convenient collection point, or even to your home or office, in or around Cape Town. Subscribe to our weekly electronic newsletter which has a 'What's in the Bag?' section as well as providing helpful tips and recipes. 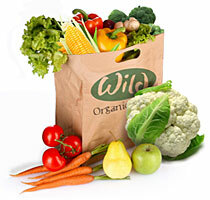 Choose from our Wild Bag offerings below. Our fresh fruit and veggies vary weekly, as we follow the seasonal harvest of local farmers. 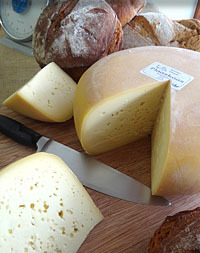 You’re welcome to add some tasty extras to your Wild Standard or Mini Bag from our selection of breads and cheeses, meats, dried and bottled goods. Our seasonal selection of seasonal of fruit and veg, suitable for 2-3 people for a week. 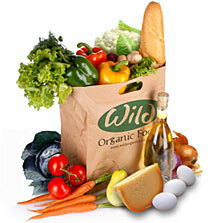 We choose items from the same list as the Wild Standard bag: good for one person. You do the picking. Choose exactly what you want by selecting from "Currently on our shelves". Fresh, organic produce is what we do. Try us, we deliver!